My little boy will be turning one in a few weeks time, how time flies. I recently saw the health visitor for his development check and she asked me whether I would be starting him on cow’s milk after he turns one. Without really thinking about it I said yes as this is what I did with his sister. When Mélie turned one she wasn’t really interested in breastfeeding anymore either, so following main stream advice I just gave her cows milk. Isn’t that what everybody does? We are told kids need cows milk, after all they give it to them at school. It’s full of calcium and it gives them strong bones, right? But in the last few weeks, I have been reading more and more about why this might not be true. I recently red Nutritional Therapist Amelia Freer book ‘ Eat, Nourish, Glow’ (which I can only recommend) and as a result I have decided to make a few minor changes to my diet. I am not going fully dairy free but I am cutting out sugar and reducing my cow’s milk intake. I have started making my morning porridge with almond milk and water, I am eating goats and ewes cheese instead of ones made from cows milk and I have reduced the amount of yoghurt I eat. The reason is that Amelia’s Freer’s book is very convincing as to why you might want to cut dairy from your diet. So, I’m trying it out to see if I feel healthier. I haven’t cut it from the kids diet yet but if it’s not good for me surely it’s not good for them either? When you start looking into it there’s actually a lot on the internet about why cow’s milk could be dangerous for us. Cow’s milk is a known as one of the most allergenic foods, it is not something that our body can digest well. If we think about it, we are drinking milk which is designed for calves, not for human consumption. On top of that, we are not really designed to consume any type of milk into adulthood. 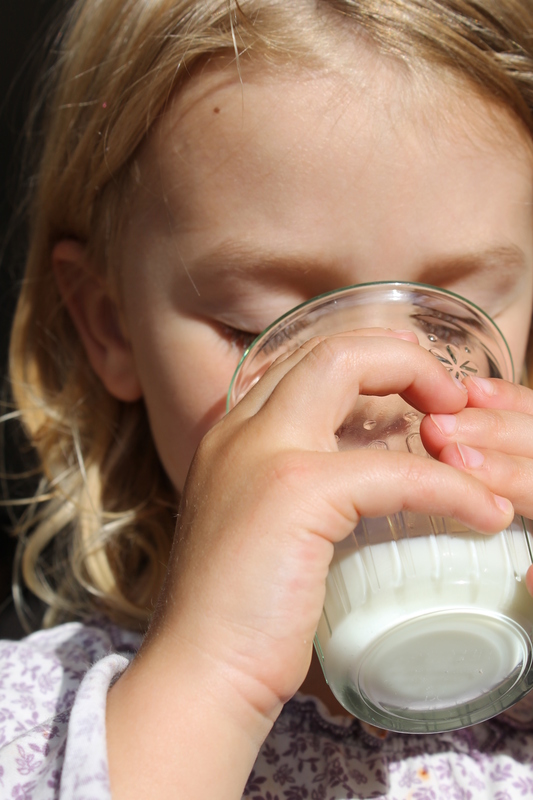 Research suggest that children start producing less lactase (the enzyme needed to deal with lactose, the sugar in milk) when they’re as young as two years old. That is why some people become lactose intolerant later in life. This interesting article explains that ‘Most people who retain the ability to digest milk can trace their ancestry to Europe’ because of a genetic mutation that spread through Europe. 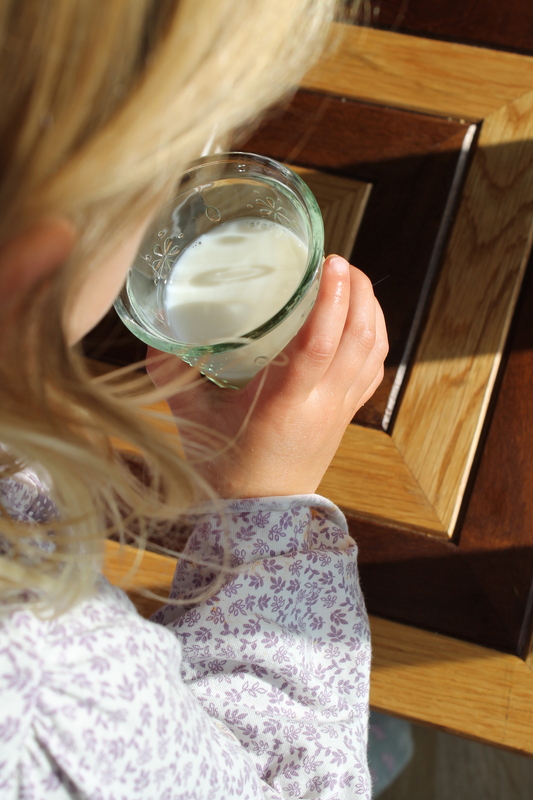 Young children almost universally produce lactase and can digest the lactose in their mother’s milk. But as they mature, most switch off the lactase gene. Only 35% of the human population can digest lactose beyond the age of about seven or eight.’ (Andrew Curry). So with my little boy loosing interest in breastfeeding, do I really want to start him on cow’s milk? And what about infant and toddlers formulas (derived from cow’s milk) and bi products of cows milk such as yogurt and cheese. So if cow’s milk is not great for our kids, what are the alternatives? Breastmilk; Obviously breastmilk is what our children are designed to drink. Many mothers will choose to continue past the age of one although for others it may not be what they want or can do. Formula; There are many formulas designed for toddlers to drink, many of them derived from cows milk. They contain extra vitamins, minerals, and nutrients but it has been suggested some brands have more sugar and less calcium than cows milk, are they just a waste of money? Almond milk; Of all the nut milks it’s probably one of the most nutritious but it does contain a lot less protein than cows milk. I really like the taste of it though! Goats milk; It is very similar to Cow’s milk but is more digestible and it contains less lactose. Some claim that goats milk is more similar to human milk in composition. Coconut milk; It has less protein than cows milk and very little calcium but is high in calories. Probably best used as an occasional drink rather than an alternative. Oat milk; It is high in fibre but contains no fat or calcium although it is usually fortified. Hemp milk; High in Omega 3 and 6 essential fatty acids but usually fortified as it doesn’t naturally contain calcium. Soya milk; it about the same amount of protein as cow’s milk and some iron, but little calcium unless fortified but is high amounts of isoflavones (plant estrogens) and disrupt the hormonal development of young children. What are your thoughts? 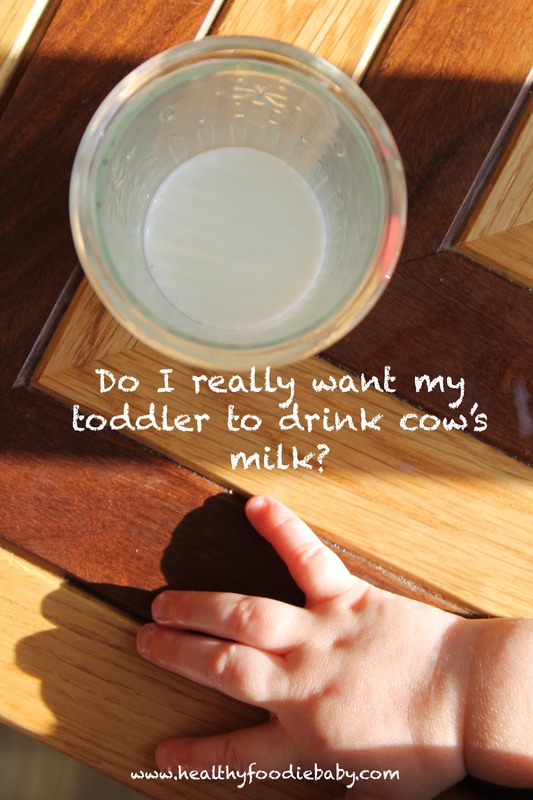 Which milk will your toddler be drinking? I haven’t yet decided and in the meantime I continue to do a combination of breastfeeding and formula. I have started to include almond milk and goats milk in my little boy’s diet to add to some variety to his nutritional needs. These findings are a result of some of my research but they remain a series of questions. Please do not change your child’s diet without advice from a trained dietician or nutritionist. There are two sides to the cows milk debate and many still believe cows milk to be beneficial to children’s development. Hi Addie, it’s nice to hear other people are thinking the same. I like your blog too, lovely photos!